Ward stepped down early last year after serving as the first head of the Europe-based Africa Command, which was created in 2007, and he intended to retire. 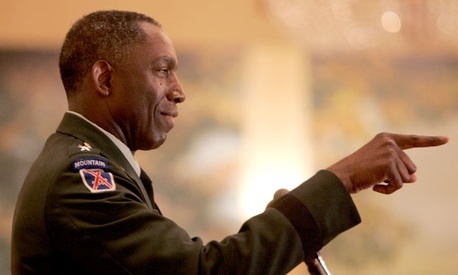 He did all the paperwork and was hosted at a retirement ceremony in April 2011 at Fort Myer in Virginia, but the Army halted his plans to leave because of the investigation. Ever since then, he has been working in Northern Virginia, serving as a special assistant to the vice chief of the Army. That Army office long has been used as a holding area for general officers of varying ranks. For some it's a way station where senior officers under investigation go to await their fate.